That's why we were so excited to see the recent commitment from Google. 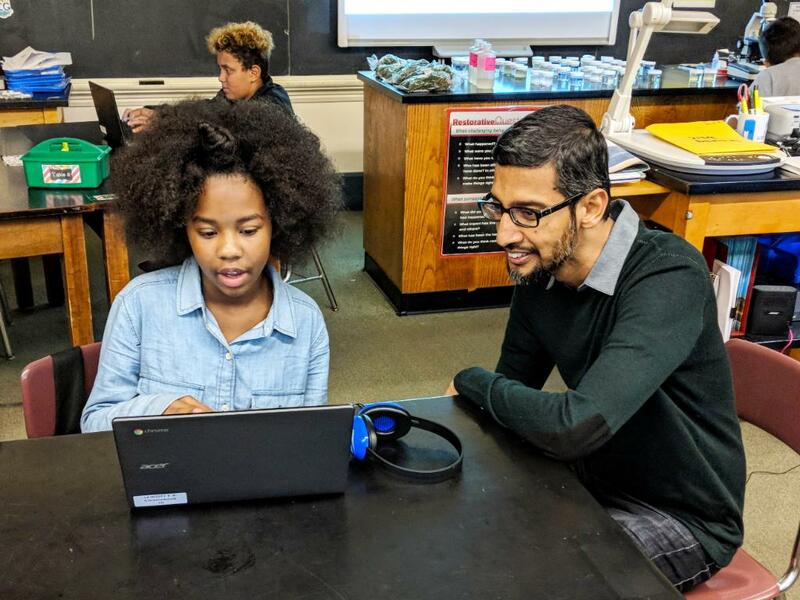 Earlier this month, Google CEO Sundar Pichai announced three new initiatives from the tech giant focused around education, economic opportunity and inclusion. First, there's Grow with Google, an initiative through which Google will provide free training, tools and events to help Americans grow their skills, careers or businesses. Then, there's the big pledge — $1 billion, to be exact — to be given out over the next five years in the form of grants to nonprofits working to close the world’s education gap, help people prepare for the changing nature of work and ensure that no one is excluded from opportunity. And finally, Google is committing 1 million volunteer hours over the next five years to give those nonprofits more boots on the ground. That's huge, by any standard of giving. But Pichai recognizes that even a massive commitment from one of the most powerful companies in the world still won't solve all the problems that exist in these areas. “We don’t have all the answers. The people closest to the problem are usually the people closest to the solution. We want to help them reach it sooner," he said in his remarks announcing the initiatives. We can't wait to see what good comes from all this — and which companies take this as inspiration to do more good in the world. Interested in learning how uBack can streamline your corporate giving and increase your impact? Email us at support@ubackforgood.com, and let's start the conversation!